Soft and salty, or crunchy and chocolate-coated, find the best pretzels at these local restaurants, bars, and bakeries. By Jacqueline Cain·	 4/26/2017, 4:19 p.m. 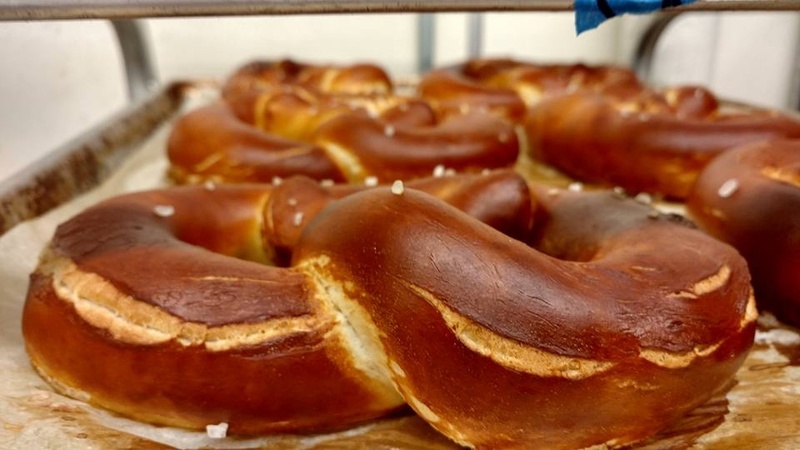 Nothing goes quite as well with a cold pint of beer as a warm, Bavarian-style pretzel. But what about a serving of peach bourbon soft serve? A salty sourdough cone will do the trick, too. 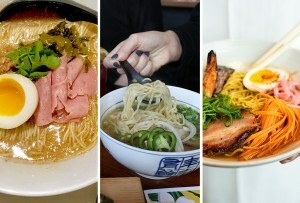 All of that and then some below, with the 12 must-eat twists (and rods) in Boston. 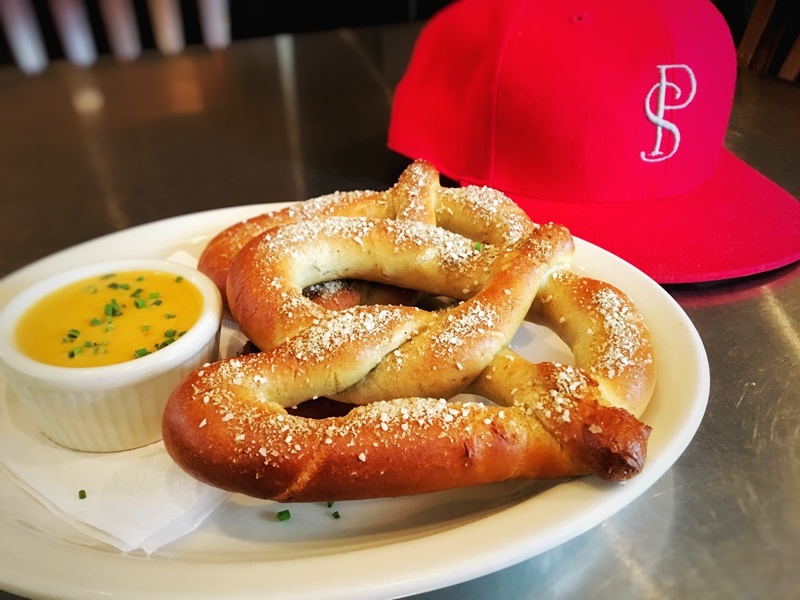 There’s a buttered-and-salted soft pretzel served with house-made, not-too-spicy mustard and cheddar ale dip, which is always a good choice. 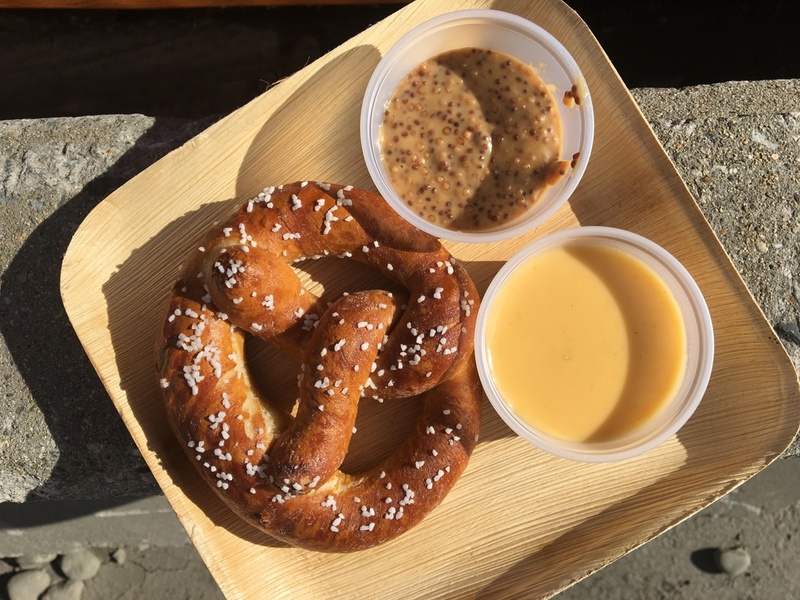 But our favorite snack at both the Boynton Yards brewery and the Assembly Row beer garden is the Flagraiser IPA beer cheese soup, garnished with a few pretzel bites. 490 Foley St., 301 Canal Street, Assembly Row, 15 Ward St., Somerville, 1-800-428-1150, slumbrew.com. Mary Ting Hyatt’s lye-dipped pretzel bagels are a savory match for house-made mustard butter, or honey rosemary cream cheese. 1796 Massachusetts Ave., Porter Square, Cambridge, 857-285-6103, bagelsaurus.com. For the sweet tooth among us, this crunchy Utz pretzel rod will do the trick. It’s not only hand-dipped in milk chocolate, but also sprinkled with chocolate chips. Need a midnight snack? Remember, Bova’s is open 24 hours a day. 134 Salem St., North End, Boston, 617-523-5601, bovabakeryboston.net. 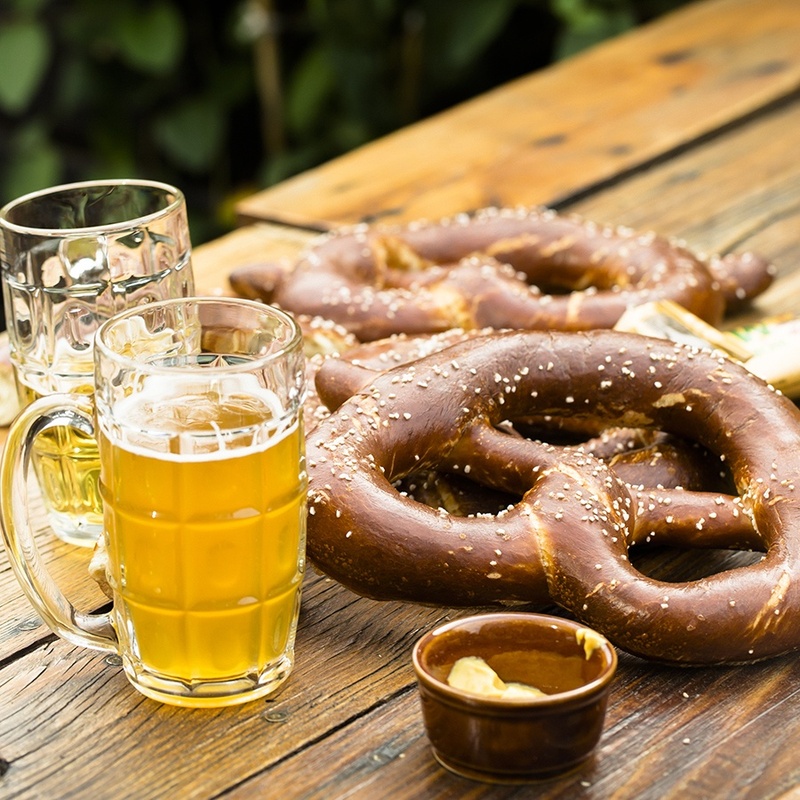 Served with nostril-clearing horseradish mustard, the haus bretzel is the perfect complement to a mug of Bavarian lager in the beer garden. Ice cream in a waffle cone? Not here. 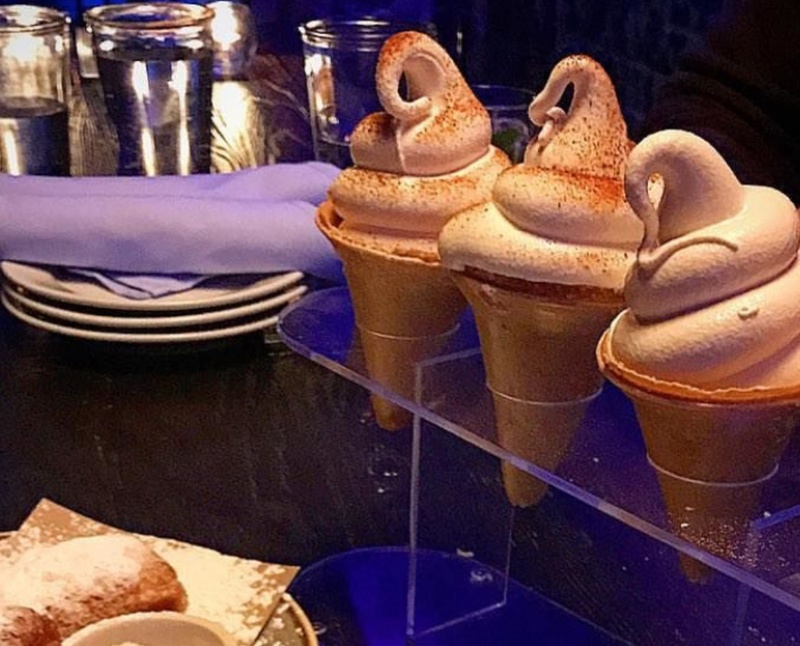 At chef Jason Santos’ New Orleans-inspired boîte, the chef keeps it offbeat with chewy and salty pretzel cones for house-made soft serves. It’s a perfect complement for rotating flavors like salted caramel, smoked cinnamon, and peach bourbon. 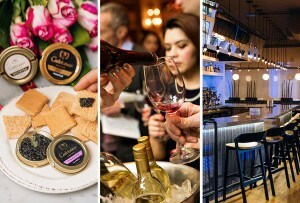 160 Commonwealth Ave., Back Bay, Boston, 617-266-1122, buttermilkbourbon.com. 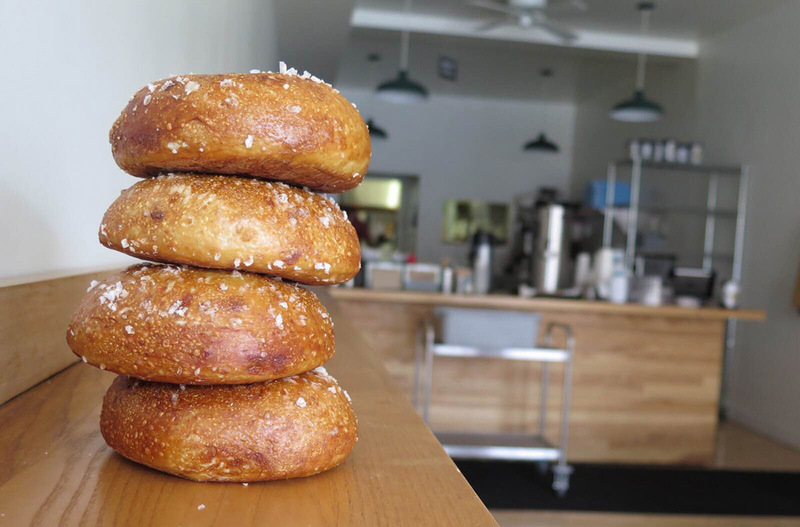 Soft German pretzels with mustard butter are a weekends-only treat at this venerable bakery. 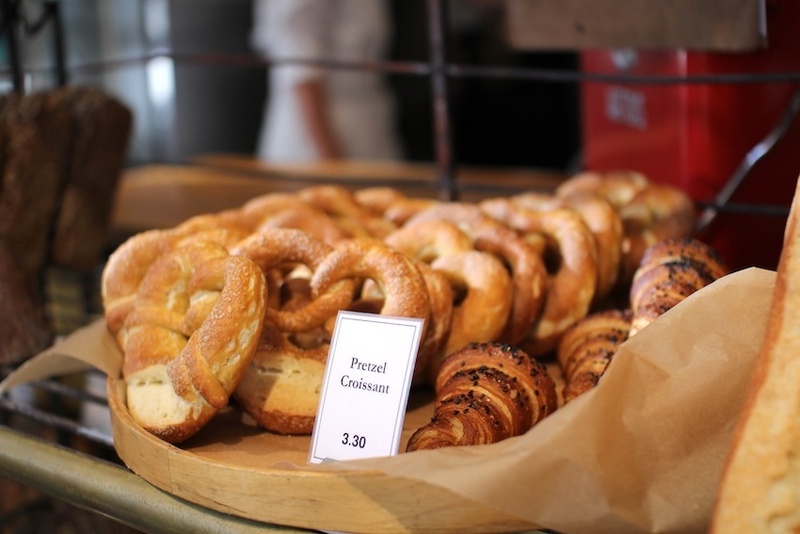 Keep an eye out for the delectable pretzel croissants, an oft-occurring special, too. 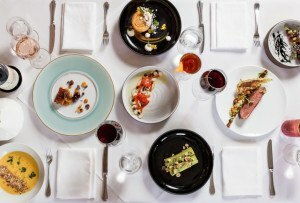 178 Thorndike St., Brookline, 617-739-0060, clearflourbread.com. 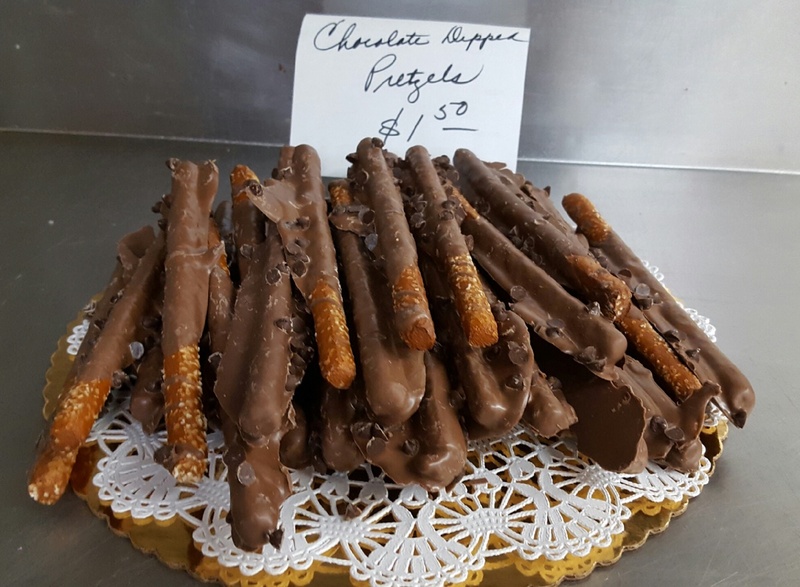 Bryna Chalmer didn’t actually set out to be a pretzel maker, initially focusing on whole wheat croissants, chocolate chip cookies, and brownies when she launched her pop-up in spring 2016. But she got to talking with Idle Hands before it opened its taproom in Malden—she bakes out of the nearby commissary kitchen, Stock Pot—and the rest is history. The brewery commissioned her first, puffy pretzels, which are now regularly available at Idle Hands, Bone Up, and Exhibit ‘A’ breweries. She does farmers’ markets, too. Idle Hands Craft Ales, 89 Commercial St., Malden, 617-819-4353, idlehandscraftales.com, fatboyfriendbakery.com. These salty-sweet-pillowy delights are the only food option at Harpoon Seaport beer hall, but we don’t think you’ll mind. The dough is made with Harpoon beer, and each knot is boiled in the flagship IPA and sprinkled with malted barley from the brewhouse. House-made sauces include bacon ranch, UFO Huckleberry compote, peanut butter whip, and more, and two dips come with each order. 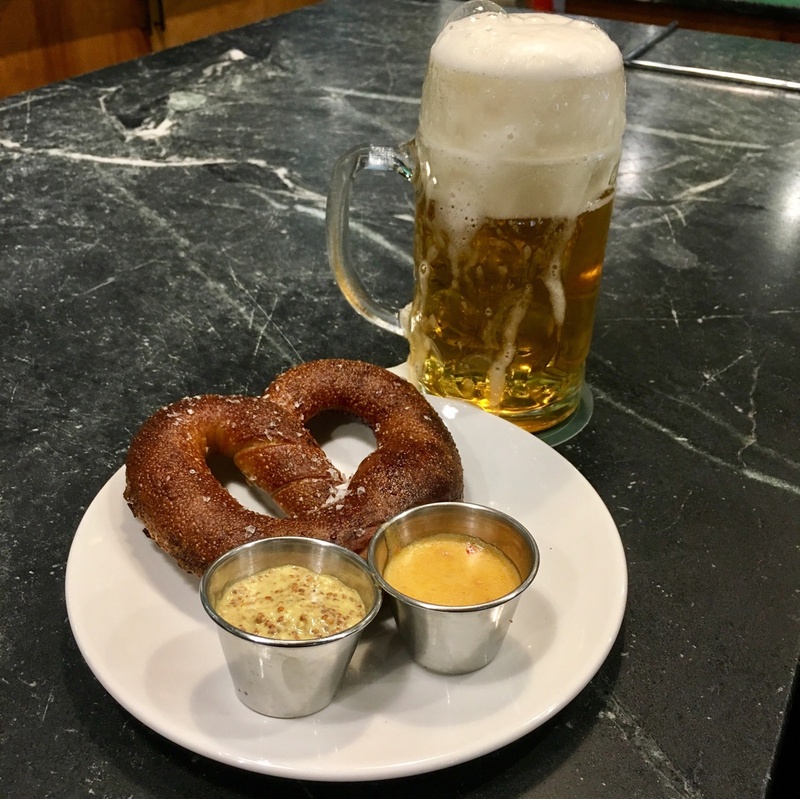 Of course this Bavarian-style beer hall has an exemplary soft pretzel. 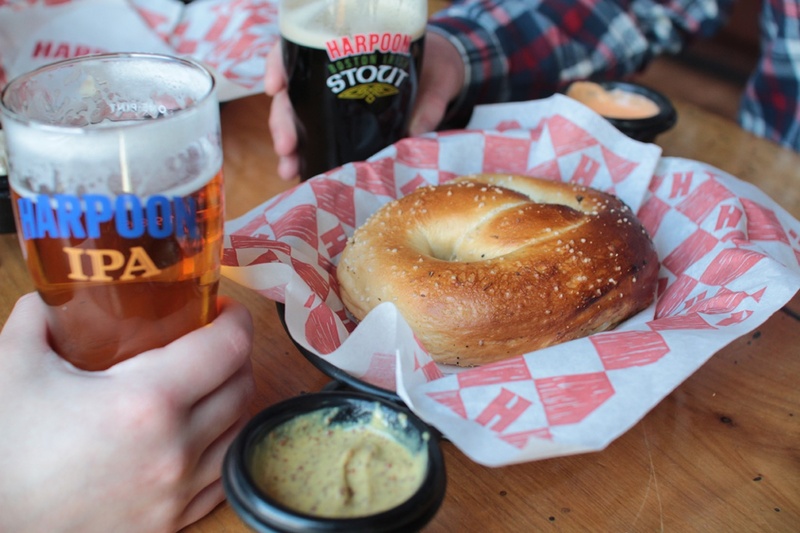 Made with House Lager, the knot comes with zippy horseradish mustard and creamy beer cheese for dipping. 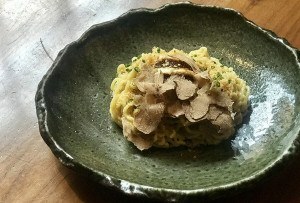 100 Clinton St., Framingham, 774-777-5085, jacksabby.com. 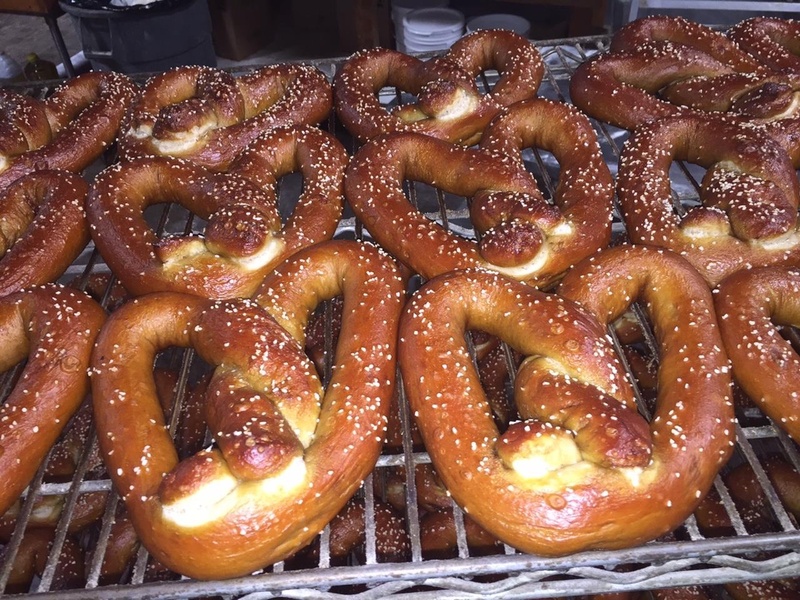 At New England Charcuterie’s delis, XL Bavarian-style pretzels are as advertised. Available every Friday and Saturday, the knot comes with New England Charcuterie smoked maple bierwurst, and a jalapeño cheese sauce. 468 Moody St., Waltham, 781-216-8732, moodyswaltham.com, 500 Boylston St., Back Bay, Boston, 617-405-5320, moodysboston.com. This is not your typical sports bar, and the soft pretzels here are not your typical bar snack. Two warm bowties come per order, dusted in Mexican spices, with a side of craveable salsa con queso. 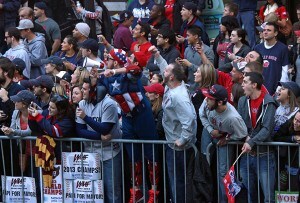 1 Beacon St., Inman Square, Somerville, 617-576-0231, parlorsportsbar.com. This New England bakery might be best known for its range of artisan breads, but stop by any of its Boston-area storefronts or its Kittery, Maine, pizzeria for this dense classic. Pro tip: Ask for a gratis cup of yellow mustard for dipping. 378 Highland Ave., Davis Square, Somerville, 617-776-0021, 1378 A Beacon St., Coolidge Corner, Brookline, 617-232-1077, 613 Centre St., Jamaica Plain, 617-522-4948, and other locations, sendbread.com.